Warwick UCU and the University of Warwick are supporting this national day of action to celebrate and highlight the contribution that people from across the world have made to the UK. 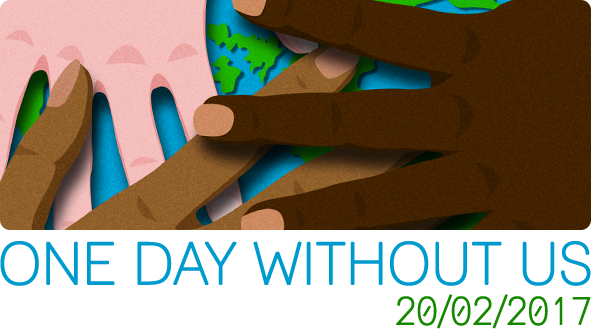 For information on events taking place, please visit the http://www.1daywithoutus.org website. Whilst UCU cannot recommend withdrawal of labour, we encourage members to show their support by taking part in one of the local or national events. 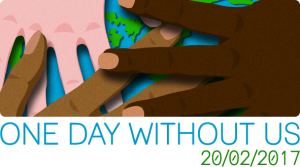 The University is promoting the event at http://www2.warwick.ac.uk/insite/news/intnews2/one_day_without_us and we are encouraging people to meet in the Piazza at 12:30 for an opportunity to support this event on social media as the national organisers of the event have suggested. As it is half term, you can even bring the kids and, after the event, take them on a sculpture tour to see the works by international artists, and visit the Mead Gallery to see the latest installation by Subodh Gupta.